Sundays are for loaf-ing around. Get it? 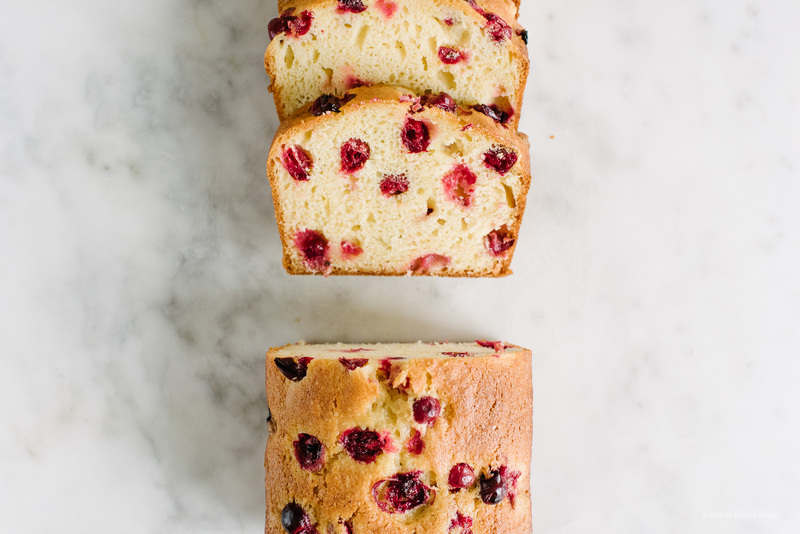 >_< This cranberry lemon loaf is very late February – still a little winter-y, but with a hint of spring on the way. Perfect with a cup (or 3) of tea. We’re back! Home, that is. We’ve been away for just under 3 months and it feels both odd and awesome to be home. Strangely, we’re still figuring out which light switches turn on which lights and we are both very, very jet-lagged. Me more so than Mike, but I actually love jet lag so maybe I’ll stick around on Japan time for a little while longer? After what seemed like a pretty short flight (I only watched one movie and then passed out, very unlike myself because I usually love binge watching movies on flights), we took a quick taxi ride home and then promptly went out for pho, because pho. 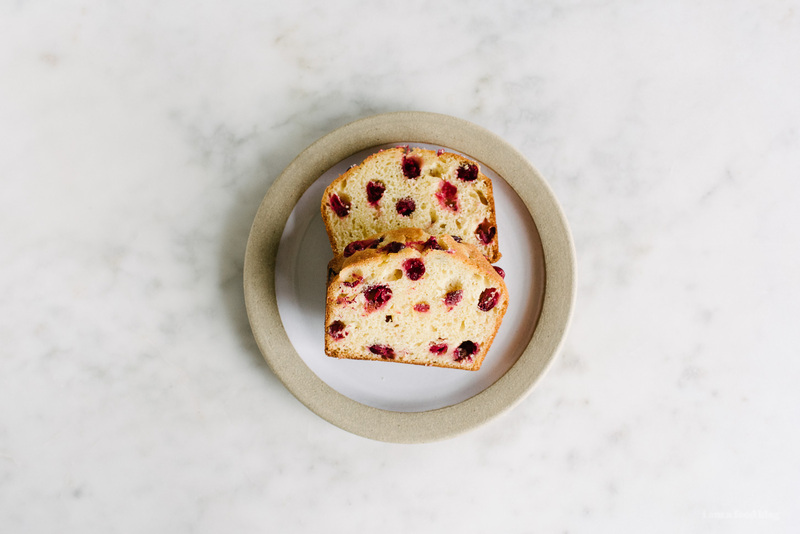 After pho, Mike passed out and I crept out to the kitchen to grab a frozen slice of this cranberry lemon loaf. I thought the smell of it would make Mike wake up, but no go. So, since I wanted a little company, I poured a glass of whiskey, hoping that the sound of whiskey hitting the bottom of a glass was a surefire way to ease Mike out of his jet-lag coma. Lightly butter and line a loaf pan with parchment paper. I used a 8.5 × 4.5 × 2.5 inch loaf pan. In a bowl, sift the flour, baking powder, and salt together. Set aside. In a large bowl, whisk the oil and sugar together until pale. Add the eggs, one at a time, mixing well. Stir in the milk and vanilla. Add the flour and mix gently, taking care to not over mix. Gently fold in the cranberries and lemon zest. 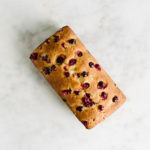 Pour into the prepared pan and bake for 50 minutes to a hour, or until a toothpick inserted into the middle comes out clean, or with a few crumbs clinging. 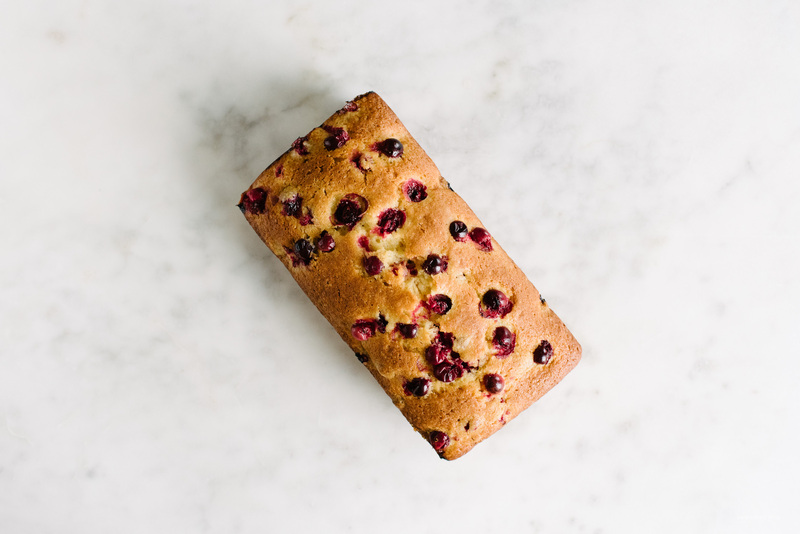 Let cool in the pan for 10 minutes, the gently release and let cool on a wire rack, completely. Slice and enjoy! Will keep, tightly wrapped, for up to 1 week in the fridge. This looks delicious! And gorgeous photography as well! yayyy so happy you guys are home. welcome back to the west coast!! 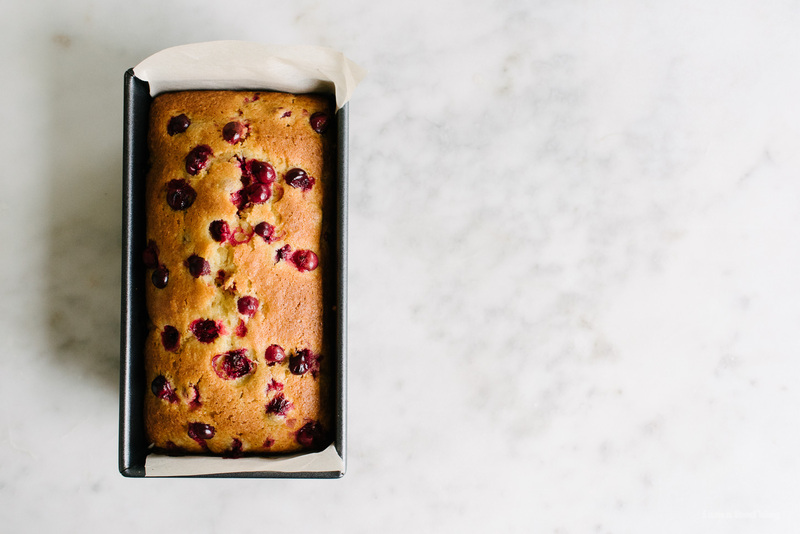 a slice of this loaf sounds like the perfect welcome home. that and a big bowl of pho. and a glass of whiskey. you guys are doing it right!!! did i say welcome home yet? WELCOME HOME!!!!! Welcome home! This loaf looks divine- I”m especially interested in your description of toasting the ends and eating them with cream cheese. Yum! I am loving your brunch recipe ideas. We love trying different brunch recipes. We tend to find something we love and have a hard time branching out from that. So I’m loving seeing some NEW recipes to encourage branching out. Made this recipe, but as 12 muffins, since I only had a tiny toaster oven at my disposal. It was very good, and I must say, it was a nice change from the orange/cranberry combo I usually prepare. Do you think I can switch out the regular milk for almond milk?? And how about the cranberries for blueberries? definitely the cranberries for blueberries! i haven’t tried switching out the milk though. i’m not sure if it would work since the fat content is quite different, but maybe it would work? if you try it, let me know! Hi can I use honey instead of sugar? i haven’t tried with honey – it might be a bit more dense but i think it might work. let me know if you give it a try and it works out! Thanks! I baked it yesterday with sugar. It turned out pretty dry actually I’m not sure why. I baked with dried cranberries instead of fresh ones but don’t think that is the reason. Was it because I over mixed it? 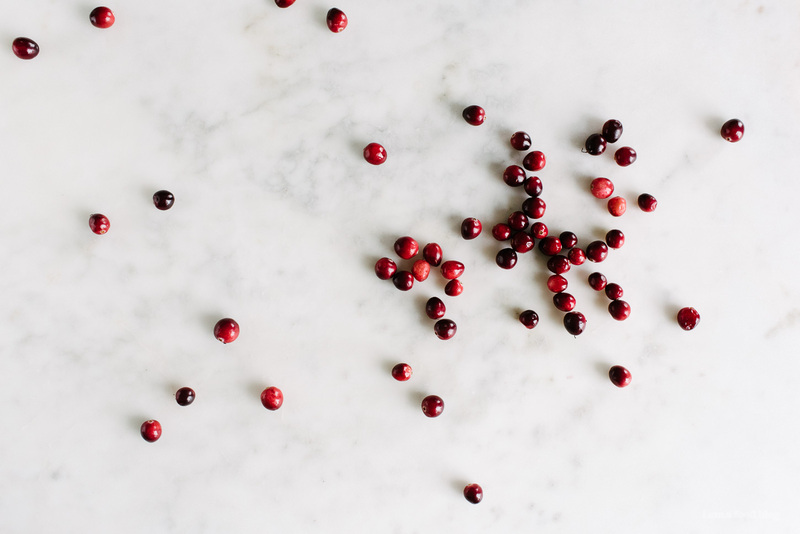 it could definitely be overmixed, but i’m thinking that the dried cranberries instead of fresh also made it drier – fresh (or even frozen fresh) cranberries release quite a bit of liquid. This recipe was not good. I followed the recipe exactly and it came out dense and dry. And it’s definitely not me because I’m typically a great baker.